SURN vehicle upgrade starts with repair of chassis and superstructure. The original equipment is subsequently replaced by new subsystems and cable trees. New units are installed into modified original frames. This huge replacement allows optimization on system level, performance and reliability improvement. Commander's and fire control radar operator's consoles are designed to reduce complexity of operation and the operators´s load. Operators do decision and setting tasks, while routine tasks are performed by software. All units include built-in test equipment (BITE) for easier maintenance and repair. All BITE reports are collected and presented on commander's console. Its operational performance has been enhanced making the missile capable of engaging attacking aircraft before they can release their airborne stand-off rocket propelled missiles. 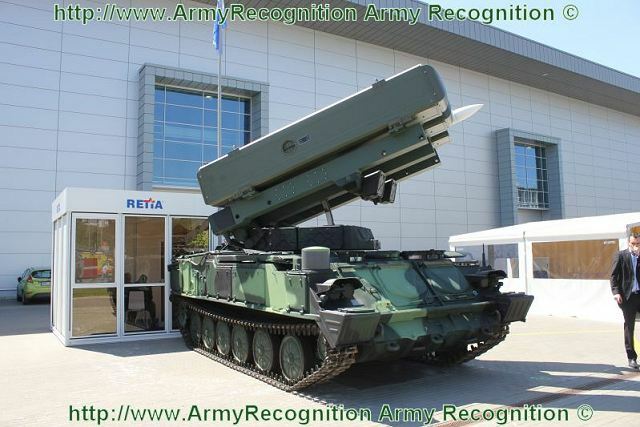 Thanks to its outstanding capabilities in range, it can ensure a wide area defence against all type of air threats". The ASPIDE 2000 is equipped with an enhanced single stage rocket motor to increase the missile speed, lateral acceleration and effective range by as much as 40% compared to the ASPIDE baseline missile.